Kirby Super Star (AKA Hoshi no Kirby: Super Deluxe or 星のカービィ スーパーデラックス Hoshi no Kābī Sūpā Derakkusu in Japan) is a platforming video game developed by HAL Laboratory and published by Nintendo for the Super Nintendo Entertainment System (SNES) in 1996. It is the eighth game of the Kirby saga. 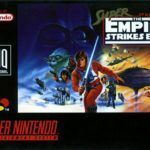 Kirby Super Star for the SNES may have been released a bit late in the console’s lifecycle but that didn’t stop this game for having a cult following. This installment to the Kirby series became one of its most popular. The developers were wise to stick to the time proven formula of the past releases so followers of Kirby should be quite familiar with the gameplay. To add a bit of excitement, the game now was seven platforming games and a couple of mini-games, instead of one big storyline. 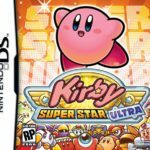 Having a unique plot for each game surely breathes fresh air into Kirby Super Star that should have fans glued to their gamepads. Those who have played a Kirby game before will be glad to find that the main character is still able to absorb enemies and get their unique abilities. This time, though, a bit of a twist was included wherein the enemy’s powers can be used to create a CPU-controlled ally to play alongside. A second player can also control that newly created sidekick for some cooperative play. Controls are as reliable as ever on all games and the new additions to the gameplay mechanics add even more fun to Kirby Super Star. 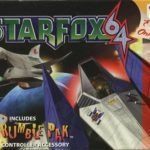 Although difficulty might become a bore to some gamers, the varied and many levels that were thrown into the package should keep them pacified. Ready to play Kirby Super Star online? Kirby Super Star is an eye candy galore of a game. 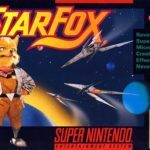 It’s certainly one of the most colorful games ever created for the Super NES. The details are evident both on the characters as well as the backdrops. The bosses are large and gorgeous. Animations are smooth and top notch. 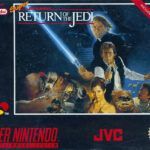 The musical score for this game shows what the SNES audio chip is capable of. A wide variety of impressive tunes is combined with sound effects that make playing this game more fun than ever. For fans of this series, the Kirby Super Star is a must-own. It took the old formula and gave it new life by including fresh gameplay ideas. The game might be easy but that’s what Kirby is all about, easy fun.